This weekend Tanny and I had some time to work on the website and the garden. 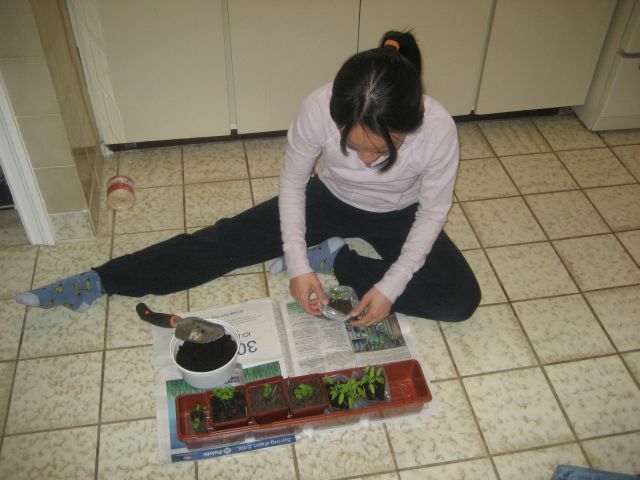 Tanny added some more soil to her tomato seedlings and pinched off the weaker ones. I worked some compost into the garden and got it primed for planting. Unfortunately the temperature is just barely into the double digits so we’re going to wait until next weekend to plant. Also – the seasonal food list now has lists for BC and PEI.